The Holiday Inn Express ® Hotel; takes pride in providing their guests with anything that they need. For side sleepers who need a lot of support, they offer the Infinity ® Pillow. Compare to The Firm Pillow Found In Holiday Inn Express ® Hotel. You can bring that same comfort home with the this pillow. 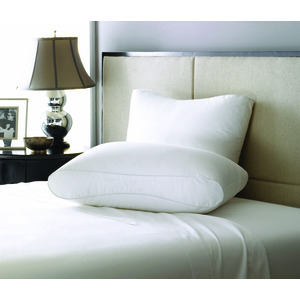 The Holiday Inn Express ® Hotel Infinity® Pillow-Extra Firm has a large gusset that keeps the pillow extra firm and supportive. Get the support that you need tonight with the Infinity ® Pillow!